I am a huge NFL Football fan. I mean I love the Kansas City Chiefs but I will watch just about any NFL game anytime. Lazy Sunday afternoons you can just leave me alone. I'll be cracking open a cold one and licking Doritos cheese off my fingers. No need to make lunch or dinner. 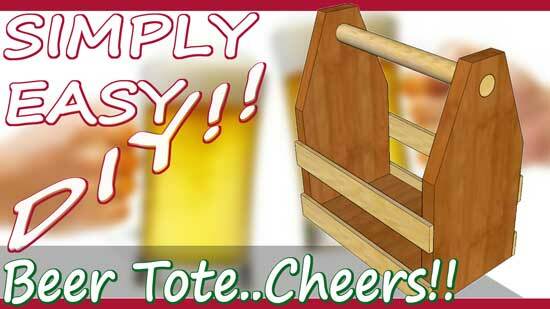 The only thing I need is to be able to tote around a few brewskies. 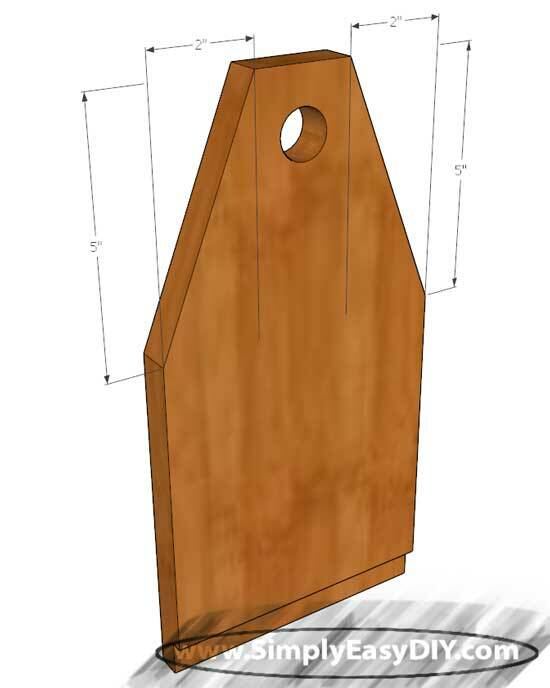 4 Side Pieces @ 3.5" x 12"
4 Slats @ 1/4" x 1.5" x 11"
2 Bottom Pieces @ 3.5" x 10"
1 Dowel Rod @ 11"
The sides of our beer tote are two 1x4s cut to the length listed in the cut list edge glued together. NOTE: Good practice to get into when edge gluing boards is too cut them slightly longer than needed. 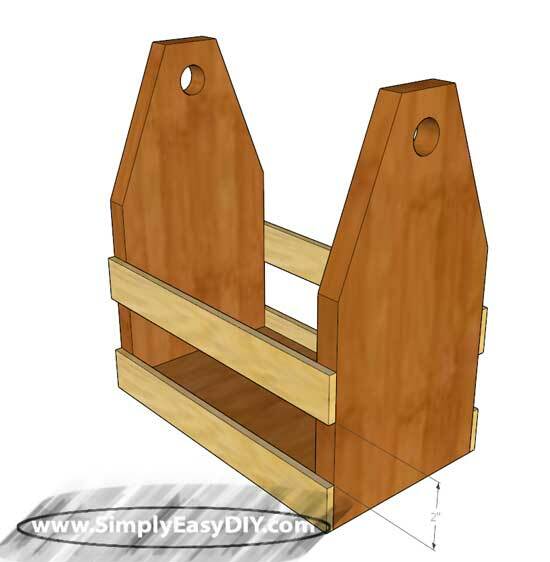 This will allow you to trim the project board to size after it comes out of the clamps. Measure 2" in from both sides. Then measure 5" down from what will be the top of the tote. Mark a line to connect the dots and cut the angles on both sides. Then about an inch down from the top and centered on the board drill a 1" hole with a forstner bit. Finally route a 3/4" rabbet along the bottom edge of both sides. The bottom is an edge glued project panel as well. Again you will have to trim to final size. Then glue the bottom into the rabbets that you routed in step one. 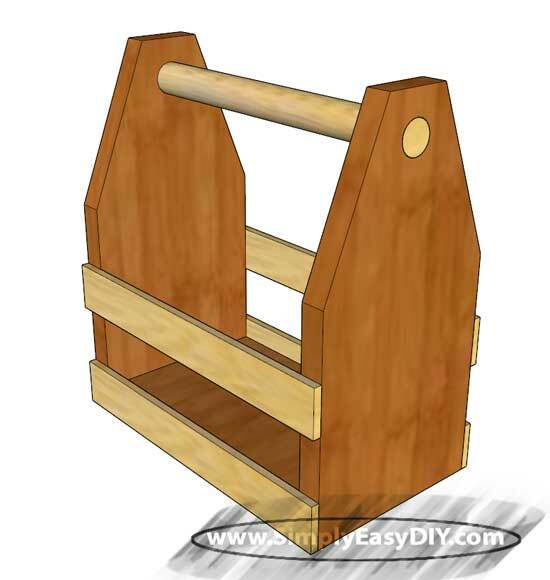 A few right angle clamps will help keep the sides perpendicular to the bottom while drying. The materials list above calls for a 1/4" thick 1x2 project board. You can purchase those in shorter increments than 8' at most home improvement stores to save some money and reduce waste. However, you can also just take a 2x4 and rip a few 1/4" thick strips on the table saw. This will save even more money. Glue and clamp them along each edge of the sides. I have them 2" apart in the photo below. Glue should be ok by itself in this instance but you could also tack the slats in place with a few 5/8" brads if you feel like it. 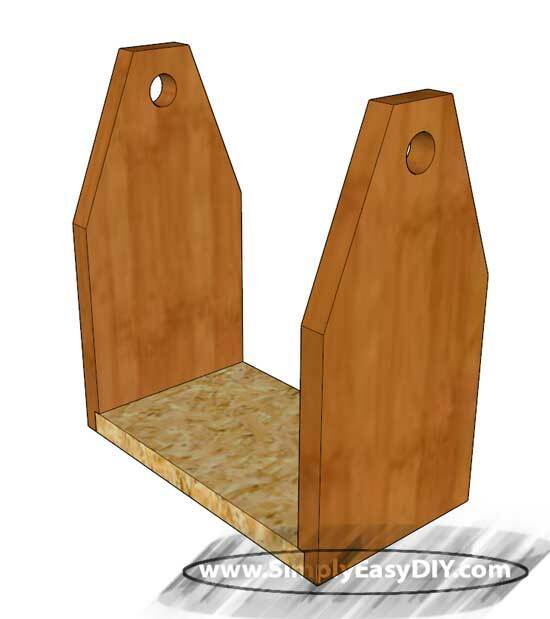 Dowels are another option to go with if you don't like the thought of marks being left by the brad nails. A one inch dowel rod can be cut to length and glued in place for a handle. Alternatively you could omit the dowel rod and just attach a 2" piece across the top for the handle. If you round over the edges it should be just fine. It's all about what you are comfortable with. I hope you enjoyed our 10th Day of 12 DIY Christmas Gift ideas.